Ms. Fregoso began her legal career as a Staff Attorney at the Legal Aid Foundation of Los Angeles (LAFLA) as an Immigration attorney. Her experience included conducting hearings before the United States Immigration Court, briefing and arguments before the Board of Immigration Appeals, state courts of appeal, and the United States 9th Circuit Court of Appeals. 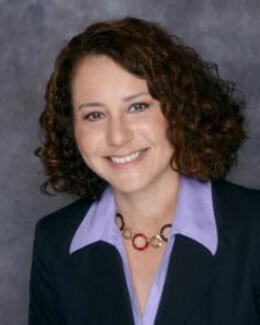 Ms. Fregoso also worked as a Trial Attorney with the Los Angeles County Alternate Public Defender’s Office. She represented clients charged with criminal offenses through every phase of the criminal process, including preliminary hearings and jury trials. Ms. Fregoso is fluent in Spanish and she is active in the community. She currently serves on the Board of Directors for the Variety Boys and Girls Club in Boyle Heights and Lideres Campesinas, Inc., a non-profit organization focused on assisting farm worker women. She is a member of the Latina Lawyers Bar Association, the Mexican American Bar Association, the Los Angeles County Bar Association Trust and Estates Section, The California State Bar Trusts and Estates Section, and ProVisors professional group.